WIth a compact, lightweight roof-prism design and durable, waterproof body, the Aculon W10 binoculars travel with you easily into the mountains and to sporting events. Waterproof, fogproof and built tough for the outdoors, the Nikon Prostaff 3S 10 x 42 binoculars boast an advanced optical system for sharp images that bring the far away up close. Waterproof, fogproof and built tough for the outdoors, the Nikon Prostaff 3S 8 x 42 binoculars boast an advanced optical system for sharp images that bring the far away up close. Get a bigger-than-life look at the outdoors with the powerful, waterproof Nikon ProStaff 5 10 x 42 binoculars. With multicoated lenses and a durable build, they offer bright imagery wherever you roam. Built tough for the outdoors, the Nikon Prostaff 5 8 x 42 Binoculars are waterproof and fogproof to stand up to your hiking trips, bird-watching outings and everyday use. The waterproof, fogproof Prostaff 7S 10 x 30 is a sleek-looking compact binocular with 10x magnification that's built for a variety of outdoor activities, and is a great accessory for every outing. 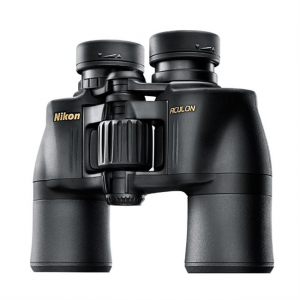 Built tough for the outdoors, the Nikon Prostaff 7S 10 x 42 Binoculars are lightweight, easy-to-hold, all-terrain binoculars that feature an advanced optical system designed to deliver sharp images. 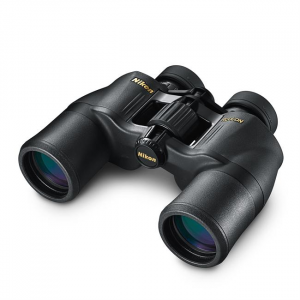 The waterproof, fogproof Prostaff 7S 8 x 30 is a sleek-looking compact binocular with 8x magnification that's built for a variety of outdoor activities, and is a great accessory for nearly any outing.